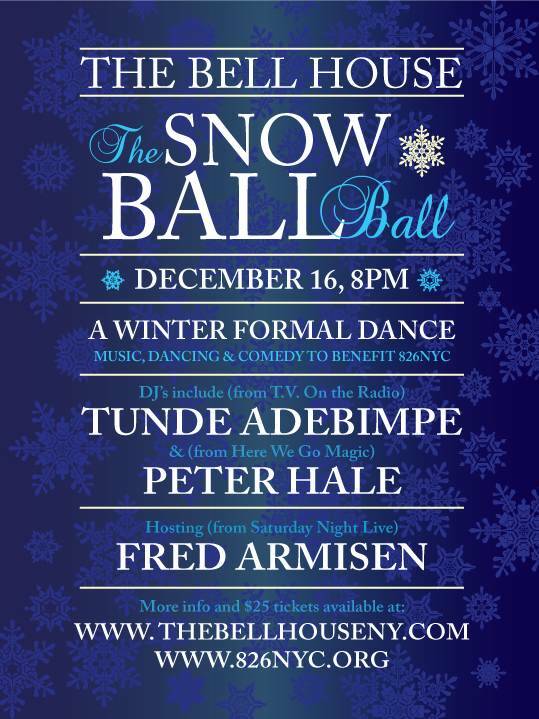 The Bell House hosts the Snow Ball Ball, a benefit dance and comedy event that will bring a little light and funding to 826NYC- an organization that helping teens and young adults with literacy and writing tutoring. The Snow Ball Ball will be held December 16th at 8pm. Tickets are $25 per person and this event is for those 21 years of age and older. The Bell House is located at 149 7th Street, between 2nd and 3rd avenues in Gowanus. Please visit thebellhouseny.com and 826nyc.org for more information.